Action research is a systematic process. 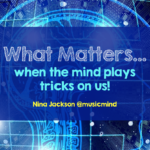 It allows you to try out different processes, strategies and ways of working in your classroom, or your school, in order to find out what really does work for you and your students.You can take simple changes to a new level by formalising the process. 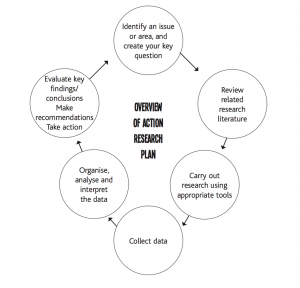 Effective action research requires careful planning and preparation, acting on that planning and then evaluating its impact. Remember, a strategy must have a measurable outcome if you are going to validate its effect. 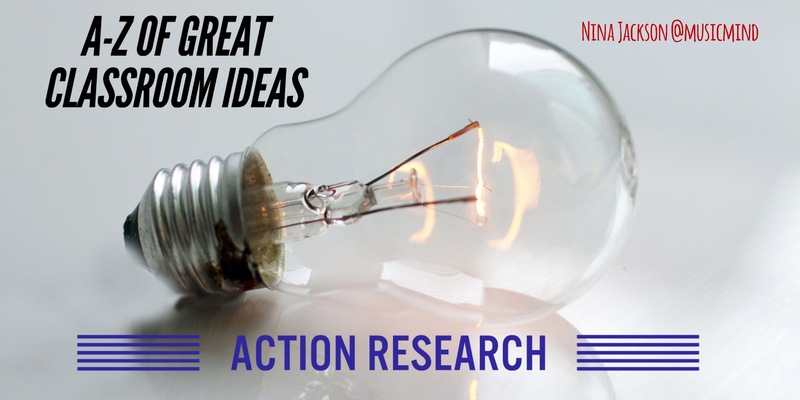 Action research means testing a theory to see if it has impact on the subjects (or ‘clients’ as they are sometimes referred to in academic research). Many teachers carry out informal action research on a daily basis without even knowing they are – it’s the process of self-evaluating and collating data to see what works and what doesn’t. However, to make action research specific, you will need to come up with an hypothesis, produce sets of questions to test this hypothesis, and then collect quantitative and qualitative data in order to report on your theory. I like to think of it as look, think, act and reflect. Stage 2: Find out more about the issue or key question from the relevant literature. What has already been researched and written about this area of study? Read education articles, research papers, journals and other studies. You might want to look at articles in the British Educational Research Journal (BERJ) which is published by the National Foundation for Educational Research (NFER): www.nfer.ac.uk/publications/ educational-research/. Your literature research should be an ongoing process, as you will probably want to make adjustments to your research terms as you learn more about your subject. Before you begin, you will need to collect some baseline data – for example, where are the pupils currently? You may wish to consider what pre-existing statistics you can tap into to find out this information. You then need to identify a way to measure any progress – for example, you could use testing at the end or collect impact evidence throughout the project. Research tools could include questionnaires, observations, videos, interviews, diaries and so on. This is action research in practice. What am I going to measure? How am I going to measure it? 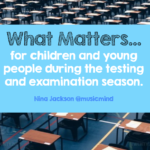 For my research, I created a teacher pack to help teachers use music in the classroom to raise standards of learning and teaching. The pack included CDs with playlists, questionnaires, learning diaries for the pupils and teaching diaries for the staff. I also conducted interviews and collected evidence using video. Make sure your research is rigorous and systematic, and keep checking with your colleagues that all is well and they have not forgotten to carry out any of the key tasks. Measuring impact is crucial. Assemble all the information you have gathered. At this point you will need to create a system that allows you to record the data. I set up some simple spreadsheets (and no one hates spreadsheets more than I do!). As you input the data, choose the most appropriate method of presenting and reporting, which could be graphs, comments boxes and so on. What have you learned from the research? What are the main areas of impact, if any? Reflect on the findings and come to a conclusion about the results. You can then make further recommendations and share these with your colleagues. Hopefully, your hypothesis will have been validated by the qualitative and quantitative data you have gathered, so you will now have firm evidence that it works. Bear in mind that some research does not produce a positive response, but this is all part of the research process. It’s about finding out what works and what doesn’t, and how it does or doesn’t work. 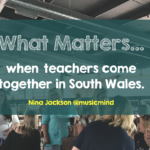 Once you have identified the positive impact of the intervention on learning and teaching, then share, share and share some more – invite your colleagues to a presentation or publish a paper. 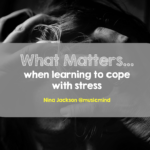 My own research allowed me to publish a book ‘The Little Book of Music for the Classroom’ based on research carried out on ‘Music and the Mind’ – raising standards of teaching & learning through the effective use of music in the curriculum, in all lessons. 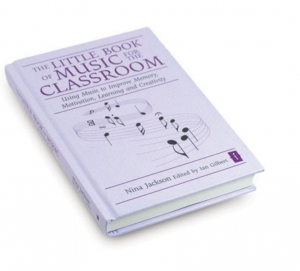 The Little Book os Music in the classroom from my research on ‘Music and the Mind’. You may also want to take a look at these too. It is also worth looking at Louis Cohen, Lawrence Manion and Keith Morrison, Research Methods in Education, 7th edn (Abingdon: Routledge, 2011): this excellent book was the foundation of my understanding of research in education. You might also like this video by Dr Carol Davenport – how Action Research can be used a part of CPD for Science Education in schools and colleges. Do let me know your thoughts. 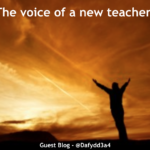 If you are carrying out any Action Research and would like to have a guest blog on my site do get in touch.